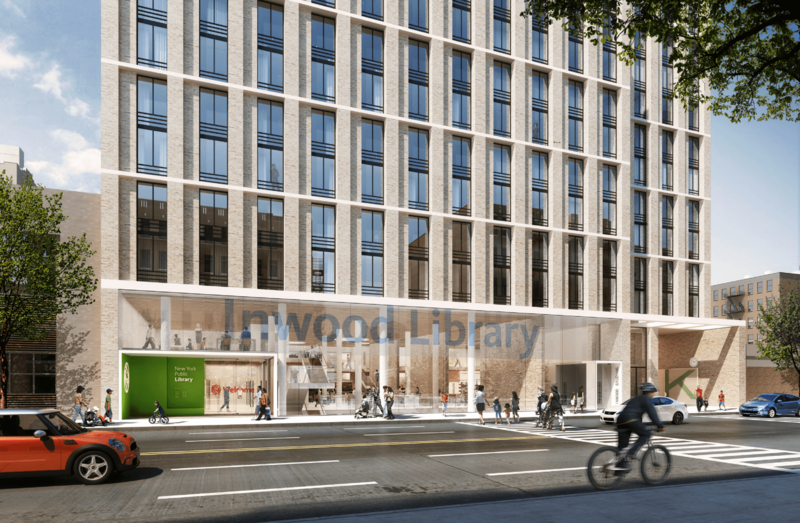 The city this week filed plans with the Department of Buildings for the redevelopment of Inwood’s New York Public Library branch, as first reported by Patch. The Department of Housing Preservation and Development revealed last March plans to transform the current site into a new 14-story residential building with a three-level library at its base. Above the new state-of-the-art library, there will be 174 permanently affordable apartments, designated for households with incomes at or below 60 percent of the area median income. 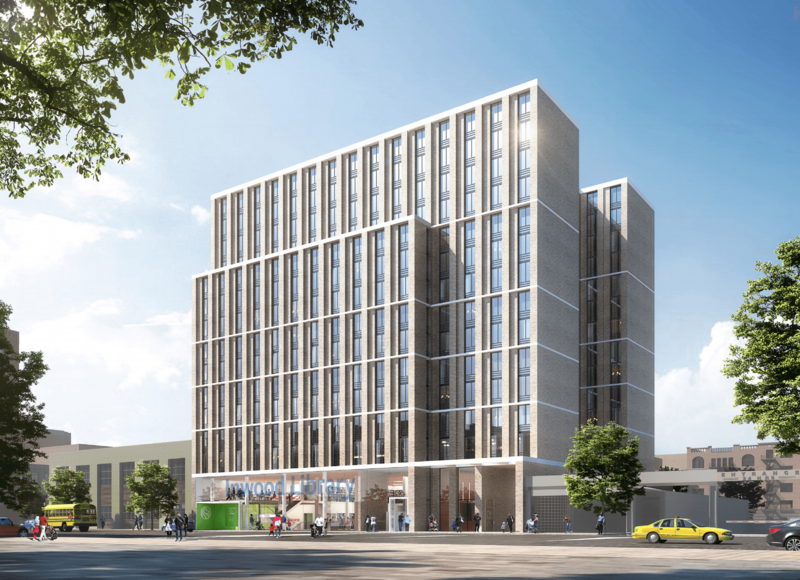 Dubbed the Eliza, in honor of Eliza Hamilton, the new building at 4790 Broadway will rise on the site of the current library and measure over 144,670 square feet. A majority of the space will be dedicated to the new residences, according to city documents. Non-profits Community League of the Heights and Children’s Village are overseeing the project’s development, with Fogarty Finger and Andrew Berman Architect handling the design. The residences include a mix of studio, one-, two-, and three-bedroom apartments, set aside for residents with extremely low-, very low-, and low-income. There will also be units set aside for formerly homeless New Yorkers. Amenities at the Eliza include an onsite gym, tenant lounge, kid’s playroom, terrace, roof garden, bike room, and a laundry room. 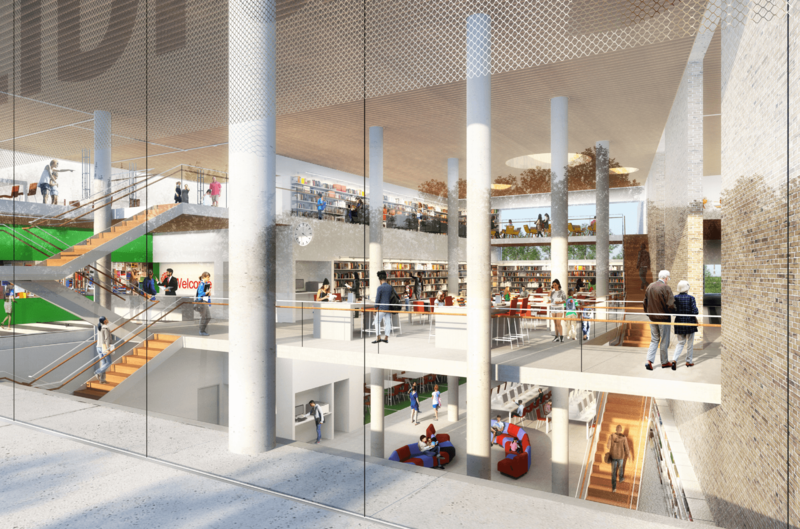 Anchoring the ground floor, the new 20,000-square-foot library will maintain existing services, like literacy programs and storytime. But the updated branch will also offer more space for computer classes, a community room (with a separate exterior entrance), collaborative workspaces, and quiet reading spaces. There will also be space for a Pre-K center, an ACTS Center for job training, and a STEM Center with classes from First Robotics. A library will be set up in a temporary 1,700-square-foot space nearby at 4857 Broadway. 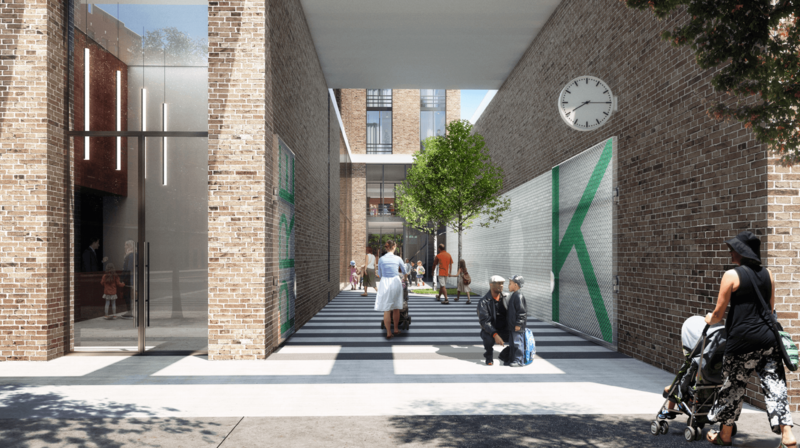 Demolition plans for the current site have not yet been filed and the developer has not released a start date for the redevelopment project.